Edward Nkune is a Director at FRA. He has a UK government background with over 20 years’ law-enforcement experience within the counter fraud arena. 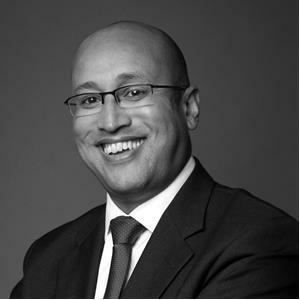 Whilst working on some of the UK’s most serious and complex fraud cases, Edward has developed expertise in data analytics, cross-border investigations, cyber security, eDiscovery, and evidence management. Edward has also worked on a number of global monitorships. After graduating from Manchester University with a degree in Computer Science and Mathematics, Edward joined the Serious Fraud Office and initially worked on the investigation and successful prosecutions of some of those involved with the £800 million BCCI banking fraud. Following further cases, including those with national security sensitivity, Edward was instrumental in setting up the National Fraud Authority, of which he became a director. Whilst at FRA, Edward has been engaged on matters concerning governance and compliance. In addition, criminal, regulatory and internal investigations. He has experience of working on Forensic Accounting, eDiscovery and Digital Forensics projects across Europe, in the USA, Africa and Australia. 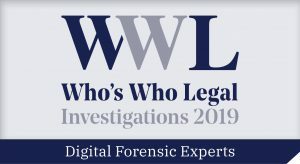 Edward is recognized in Who’s Who Legal: Investigations Digital Forensic Experts 2019 who say: Sources state that Edward Nkune is their first call for digital forensics in the UK. He knows his space and adds a tonne of value, as well as being a pleasure to work with. Edward is based in FRA’s London office.